Today I'm sharing a card I made for the Deconstructed Sketch Challenge 161. For this card I used the Space Cadet stamp set (Paper Smooches). The images were colored with Copics and were cut out with scissors. I die cut the starry patterned panel (I'm sorry I don't remember where this paper is from. Maybe Bo Bunny?) using a Stitched Mats : Rectangles die (Lil' inker Designs). Then I cut out a circular window with a circle die. I popped it up on the navy mat which was embossed using a embossing folder. 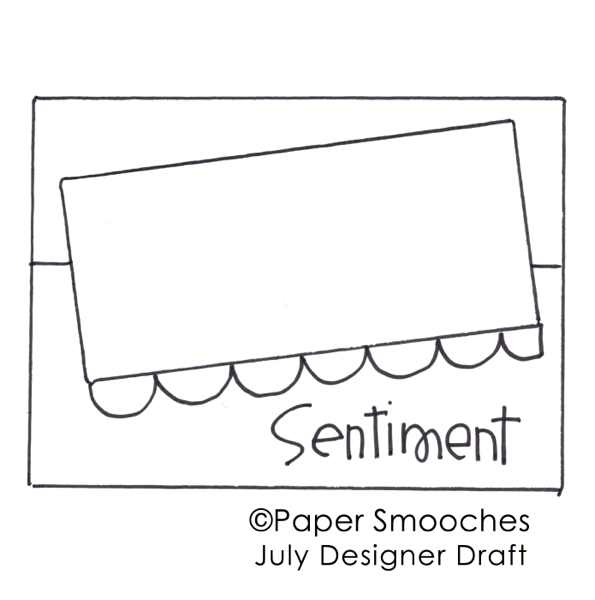 I used the Pierced Fishtail Flags STAX Die-nammics (MFT) to create a sentiment banner. The sentiment was stamped in Versa Mark ink and was heat embossed with some Mustard embossing powder. PS SPARKS Challenge - Boo! For today's card I played along with the current Paper Smooches SPARKS challenge, which is a sketch challenge. This card measures 6.5" x 3.5". The pumpkins were die cut using Halloween Icons Dies. I stamped their faces, which are from Ghoulfriends set, and sponged some orange ink for their cheeks. It's my daughter's favorite part of this card. Ha ha! To create a ghostly night background I daubed some Distress Inks (I used Faded Jeans, Peeled Paint, and Vintage Photo.) using an Ink Blending Tool, then added some random blots with a water brush. I added some grosgrain ribbon under the focal panel, adhered them to the card base, and added the die cut "Boo!". I tied a little bow and added a gold enamel dot for the center pumpkin. Today's card is for the CAS(E) this Sketch Challenge #86, and my inspiration also came from THIS photo I pinned awhile back. 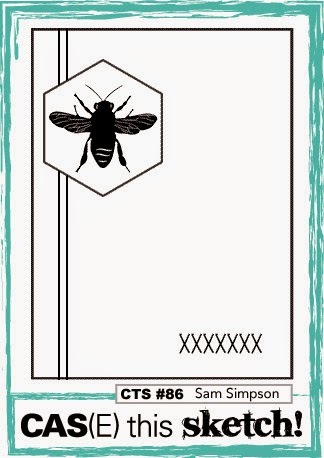 I didn't realize that this was a "no stamping" card until I made the supplies list below. LOL!! Thank you for stopping by. See you soon if I would be able to survive this horrible weather!